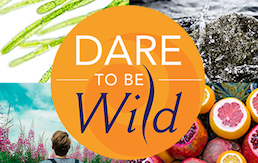 The Dare to be Wild Challenge | Dare to be Wild is a move to cut out the bad and take in the good. It's eating natural, high quality foods and abstaining from the processed and synthetic ones. Maryland Superfoods Market offers top natural superfoods for optimal health of your body and mind. Your health depends on eating the Superfoods that are required for optimal Health – visit our website at www.livewellpro.com to learn more. Thank you for visiting the Maryland Superfoods Market blog. New Earth products are All Natural for Optimal Health. Get the missing nutrients you need. Enjoy powerful health improvements. New Earth organics are good for your health. Acid Reflux Natural Healing. Healthy & natural approach for acid reflux providing relief of the burning, discomfort, and pain. Have you been struggling with your health due to acid reflux, heartburn, inflammation, burning pain in stomach or chest, indigestion, regurgitation of acid into throat and mouth, burping, bloating, nausea, choking due to narrowing of the esophagus, weight loss, dry cough, wheezing, sore throat, or other gastrointestinal problems? Have you been diagnosed with acid reflux disease or other related disorder such as GERD or digestive disorders of the gastrointestinal (GI) tract or digestive system? Are there specific foods or beverages that you eat or drink that cause more discomfort, heartburn, and pain? Are you frustrated, depressed, or unhappy with your current level of health and well-being? 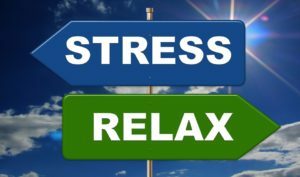 Have you considered an alternative, natural, effective, and easy way to deal with these problems, and a way to you to enjoy living life to the fullest without pain from acid reflux? You have arrived at the Acid Reflux Natural Healing website! We offer information, help, options and hope for the relief of your acid reflux problems. Please be sure to get your free assessment to begin the process of natural healing. Take some time to learn about acid reflux and discover some of the simple and quick ways that you can take control of your acid reflux or digestive disorder. You’re not alone! Many people have suffered with symptoms and pain from acid reflux. GI tract, and digestive system related disease. Millions of folks continue to suffer from acid reflux or related diseases and have been unable to find an appropriate form of treatment of the acid reflux, heartburn, or digestive disease. I experienced considerable pain and suffering due to acid reflux symptoms over the course of about 20+ years. I sometimes thought and felt like the acid reflux would eventually be my cause of death! I wished that there was a solution to my health problem. You can scroll down to read my story and find out how acid reflux impacted my life and disrupted my health. I finally came across a better way of dealing with my acid reflux and digestive system disease. My life is now much better, healthier, and I am happier! It is now my mission to share this plan with others who are looking for help and want a natural approach that provides total relief from acid reflux, heartburn, and digestive disorder pain. Manage Acid Reflux. Learn to become pain-free naturally with a healthy diet and food based supplements. Natural & Holistic is the way! My Story: First, let me start with a little introduction of myself, my career and personal interests. I have been involved in the health and wellness industry for 25+ years. I earned a Bachelor’s Degree in Health Fitness and a Master’s Degree in Exercise Science. I have studied and applied my knowledge and experience to help clients interested in health programs, exercise, diet and nutrition, physiology, kinesiology, and wellness. I am a coach, trainer, educator, and advocate of healthy living and enhanced well-being. I engage in physical activity, mostly eat healthy foods, and usually make good lifestyle choices. Overall, I consider myself to be in pretty good health for a middle-aged and active person. 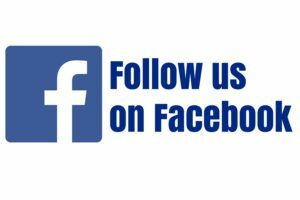 You can get more details about my career and interests on my LinkedIn page, visit my page, Scott Singleton. My life has not been without struggles from chronic pain and disease. From my early twenties and over the course of about 20 years, I was severely impacted and impaired by the effects of acid reflux. At the time, I didn’t know why I felt so bad and feared that my next meal could possibly become a “near death” experience due to obstruction of my airway. I felt major anxiety, discomfort, and really didn’t understand why. Over a period of time, the undiagnosed acid reflux condition became worse. It seemed like every time I eat, there was a bad reaction to the food or drink, and I was overcome with the acid reflux symptoms that many of you experience on a daily basis. For me, the burning pain, heartburn, food getting stuck, and indigestion was unbearable. I can recall visiting the hospital emergency room because a piece of food was lodged in an area somewhere between my throat, esophagus, and stomach. Fortunately, I could breathe, however, the food wasn’t moving along in the normal way. I spent the night at the hospital and was referred to a Gastroenterologist to evaluate my symptoms and perform an endoscopy of my GI tract and digestive system. The results came back positive for acid reflux, significant inflammation along with esophageal narrowing. The 2 endoscopy procedures done by the gastroenterologist helped to open my esophagus. An over the counter medicine was prescribed to prevent acid from damaging my digestive system and diminishing the acid heartburn and inflammation. And, I was given a lengthy list of food items to avoid consuming, such as: bacon, black pepper, butter, candy, carbonated drinks, cheese, chocolate, citrus, coffee, fried food, garlic, mint, onions, red meat, red wine, salty foods, salsa, spicy foods, tomatoes, and in general, too much food. I found myself thinking, that doesn’t really leave me with anything good to eat or drink. Here’s what I now know and can do to live my life to the fullest with acid reflux, yet still enjoy eating the foods that I love. Overcoming Acid Reflux: I have experienced profound and life-changing results by following a common sense eating plan in combination with natural health supplements sourced entirely from nature, filled with a daily dose of natural superfoods that provide my body with the right amount of probiotics, anti-oxidants, enzymes, and other essential nutrients. The result is my body gets everything it needs for optimal digestion through a natural and food-based supplement that is convenient for my lifestyle. I have escaped the painful effects of acid reflux and use a natural healing approach to maintain balance and functioning of my digestive system. For sufferers of acid reflux, I want to help you find the solution to enable you to overcome this chronic disease through a natural healing program that is simple and effective. Most importantly, the natural health program that you can use to overcome acid reflux will not cause any undesired or damaging side effects, health problems, or risks. As a health advocate, I want to share this message of hope through natural healing among all people who are trying to manage acid reflux conditions. 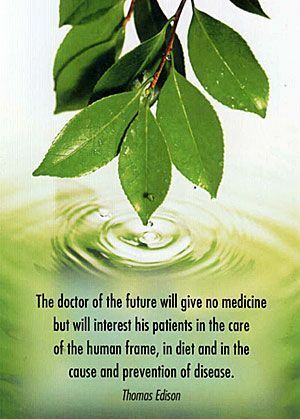 I want you to experience the powerful and positive effects of natural health, healing, and well-being. I would like to guide you in the natural approach and plan that will best help your body get well. I invite you to use the information on this website, and allow me to help you get started on your way to a new and better you! To begin, please click on the Free Assessment Button. The statements and information on this website have not been evaluated by the FDA and are not intended to diagnose, treat, cure, or prevent any disease. The material on this site is provided for educational and informational purposes only and must not be taken as “medical advice”. The information and directions in these writings, individually and collectively, are in no way to be considered as a substitute for consultations with a duly licensed physician regarding diagnosis and/or treatment of disease. Please consult with your doctor if you need or are seeking medical advice. I think it is safe to say that most people want to win, to be first, to be the top, or to be the best. How do we prepare to reach the goal of winning, coming in first place, or simply to know that we have achieved the highest level? Performance is a word that can relate to almost any activity, task, test, event, sports, work, game, or just about any thing that we do. We want to perform, look good, show our best, reach our potential, highlight our strengths, and be at the top of our game for the performance. Put it together and you get Peak Performance. What is peak performance? The definition that I found surfing the Internet states that “Peak performance is a state that is also known as peak experience, the zone of optimal functioning and flow. It refers to a moment when an individual puts it all together, when they are in the zone, when everything flows, and when they achieve an exceptional performance.” Achieving peak performance requires physical, mental, and emotional energy to be at optimal levels. It also means that the individual is maximizing their ability, the peak performer is extremely confident and may seem to effortlessly be performing at the highest level, and he or she is locked in with total concentration and focus on their performance. Some examples of peak performance in recent history, the Chicago Cubs baseball team winning the World Series, Michael Phelps 28 medals in the Olympics, and Donald Trump finding a way to win the 2016 Presidential election against all odds. There are many examples of individuals, teams, companies, and organizations that could be categorized as peak performance. One of the most famous athletes who frequently performed “in the zone” was Michael Jordan. He always seemed to have the best games in the biggest championship games under the most pressure. OK, so what about the regular ordinary Joe, Jack or Jill and how would they benefit from peak performance? Clearly, performance is usually judged and the result often can lead to positive rewards, benefits, income, well-being, notoriety, self esteem, or some other value or desired outcome. If you perform well, you reap the rewards that come due to your performance. How do we prepare ourselves for peak performance? The keys to peak performance are preparation, having the desire or motivation, and possessing the information required to perform at the highest level. I believe that some of the most important factors for peak performance are physical conditioning, nutrition, rest, and mental fortitude. Therefore, you must be ready to work for it by getting regular exercise, physical activity, eating a diet full of foods that provide the fuel to power you, getting enough sleep, and getting your mind to be completely focused on your path to achieving peak performance. I think that all of these factors: physical fitness, nutritional habits, sleep patterns, and the power of your mind are essential to getting “in the zone” and peak performance. Today, I want to provide information and make a suggestion to help with nutrition and mental focus. Many people struggle with their diet and probably don’t include all of the essential nutrients, vitamins and minerals in the foods that they eat. Foods are fuel that power our body, mind, and emotions. Bad foods, junk food, and fast food doesn’t usually offer much in the way of good stuff for a person to be able to perform at their best. Most people due to circumstances are unable to eat the right things, therefore, they are not prepared and able to perform they way that want. 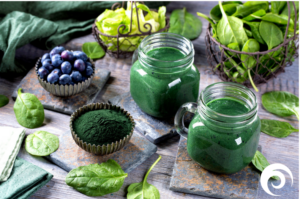 So, to overcome this obstacle, we must consider a food supplement that can deliver all of the powerful nutrition along with ingredients that help our mind, mental clarity, focus, and emotional well-being. I have found New Earth Edge as my new best food to achieve maximum performance. What is New Earth Edge and what can it do for you? Active lifestyles demand highly nutritious foods to rebuild, recover, nourish, and protect our muscles, ligaments, heart, lungs, and every cell in our bodies. Being active is also about being proactive and nourishing your body with the very best nature has to offer—whole, all-natural superfoods from Earth’s most powerful natural botanicals. 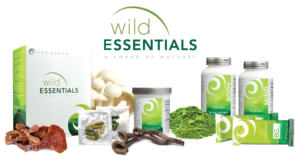 DON’T SETTLE FOR SYNTHETIC VITAMINS AND SUPPLEMENTS—GET YOUR ATHLETIC EDGE WITH WHOLE SUPERFOODS from New Earth. Edge is a 30-day supply of daily workout supplements that come from powerful superfoods designed to provide maximum energy, mental clarity, joint health, and maximum recovery from the stress of workouts. * Each daily packets contains Drive, Focus, Flex, and Rebound. Drive is an energy provider that is taken prior to your workout and is made from the most powerful superfoods. Flex supports your joints and cartilage and strengthens your body to absorb the stress and force of daily activities and workout. * Flex is taken after each workout. Prepare yourself for Peak Performance by using the right food supplements that will help provide the powerful nutrients that you need for maximum results by your body, mind, and spirit. 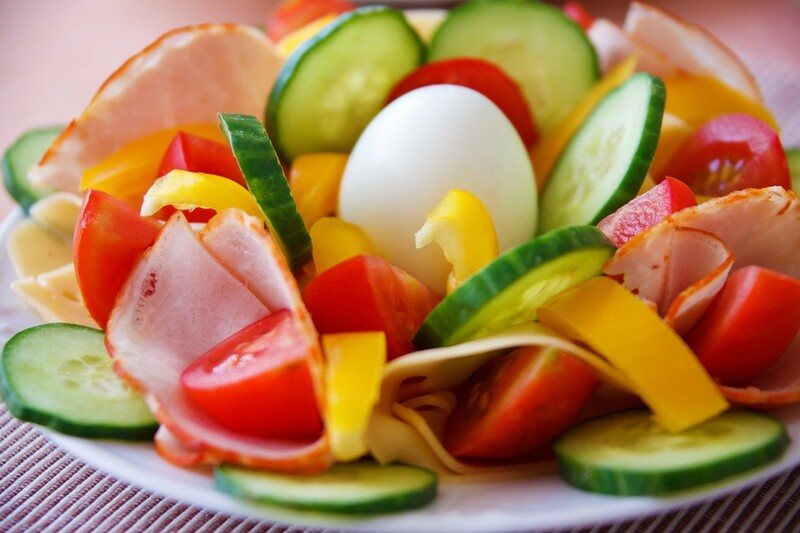 Food might be the very most important factor that will determine if your performance is at the highest level. Don’t cheat yourself by only using low grade foods and supplements. New Earth can help position you to be the person you want to be. Thanks for reading today’s blog post. Come back again for my next one. Be well!